The new powerful 450E series chainsaw is an all-round saw for people who value professional qualities in a saw. The x-torque engine means lower fuel consumption & reduced emission levels. Auto return stop switch & visible fuel level makes the saw easier to handle. Equipped with smart start & fuel pump to every time ensure easy starts. Store: driverspower Condition: Brand New Price: $359.95 Total Price: $359.95 Buy It from driverspower No returns. 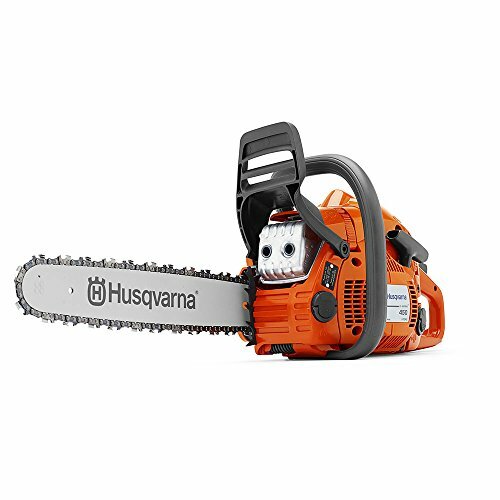 new Husqvarna 450 E II E-Series Gas Powered X-Cut force certified original oem. Husqvarna 450E E-Series 18" Smart Start 50.2cc 3.2HP Gas Powered X-Torq Chainsaw -- Free 1-3 Day Delivery With Hassle-free, 30-day Returns! Last updated: April 18, 2019 at 11:40 EST. Pricing information is provided by the listed merchants. GoSale.com is not responsible for the accuracy of pricing information, product information or the images provided. Product prices and availability is subject to change. Any price and availability information displayed on amazon.com or other merchants at the time of purchase will apply to the purchase of the product. As always, be sure to visit the merchant's site to review and verify product information, price, and shipping costs. GoSale.com is not responsible for the content and opinions contained in customer submitted reviews.